Time-management is one of the most useful skills you can ever learn, yet this skill itself takes time and discipline to develop. The purpose of this post is thus to help you take those first steps towards managing your time better and towards learning how to build self-discipline. Where do I want to be in 5 years’ time? What do I want to achieve with my life? Now, think about how you spend your time at the moment, and whether this matches up with your goals. If not, then you need to do something about it if you really plan on doing something with your life. This is the first (and most important) step you can take towards learning to manage your time better. Remember: History has shown us that just about anybody can become just about anything, if they put their minds to it. So don’t let something small like time mismanagement limit you. Having a goal for where you want to be in 5 years’ time is important for putting things in perspective. But it is going to be short-term goals that help you get there. Deadlines are extremely powerful tools of motivation. Decide by when you want to finish your course, and by when you need to finish each of your modules if you are going to finish your course in time. Remember: Don’t forget to reward yourself properly for reaching deadlines on time! This will make it much easier to stay disciplined and motivated. Use your deadlines to create a daily study schedule for yourself. This is especially important if you aren’t someone who usually makes schedules – it will give you some structure and make self-discipline come a little easier. Remember: Don’t overextend yourself. Too strenuous a schedule will only make you burn out and give up early on. Find a tidy place to study. Be relaxed and well rested. Have everything laid out for yourself before you start studying. Remove distractions: log out of Facebook, turn off your cellphone, and resist the urge to go onto Youtube, 9Gag, Reddit or Tumblr. This will all help you concentrate on your work, stick to your study schedule, and help you make the most of the time spent studying. Remember: It’s no use sticking to a schedule if you aren’t using the time effectively. Work with your schedule and deadlines to pick a pace that suits you best. For example: if you need to study 40 min a day, but can only sit still for 20 min at a time, then do 20min in the morning and 20 min in the evening. Work out a pace that you can maintain, while sticking to your deadlines. Remember: Picking a good pace will keep you relaxed and rested, and will help you keep to your schedule. Taking breaks is not only a great reward for yourself, but it is also crucial to managing your time effectively. Taking breaks will help you maintain a consistent work pace. Remember: Do something that makes the break worthwhile and refreshing. If you are studying on your computer, stand up and go outside a while or get out of the house a bit. If one of your tasks is unpleasant, or you are stuck on a boring part of the work, find ways to get through it. What about alternating it with work you actually enjoy doing? Or give yourself incentives: “I’ll study this chapter, and then I’ll treat myself to coffee and cake somewhere”. Remember: Only reward yourself when you actually get through the work. Organise your work so that you do what needs to be done first. And don’t procrastinate by doing unnecessary activities like cleaning the garage or washing the windows when it isn’t needed. Remember: Studying takes time and money, so aim to finish your course as quickly as possible. Procrastination – in any of its forms – is a student’s worst enemy. It’s a psychological barrier that can even make you feel physically unable to sit down behind your books. Find ways of dealing with it. Go take a walk. Take a shower. Clean up your study area or just sit down and get to work! Remember: If you can learn to beat procrastination, it will be something you’ll benefit from for the rest of your life and career. So try your best to figure out what works for you. If you are studying with The Learning Group, you can call your tutor and ask for help or advice. There is nothing that motivates quite like having someone in your corner or on your side. Your tutor will help keep you motivated, help you figure out your study goals, and give you time management advice. Remember: Your tutor’s job is to take care of ALL your study related concerns. If you are a Learning Group student, you might have realised that distance learning means you need to manage your time better and become more self-disciplined. But you know what? Distance learning also gives you the chance to teach yourself time-management skills that you won’t learn in any classroom. So in the end, struggling with your studies today and learning some valuable time-management skills through it all will mean you get double your money’s worth for your course in the end. 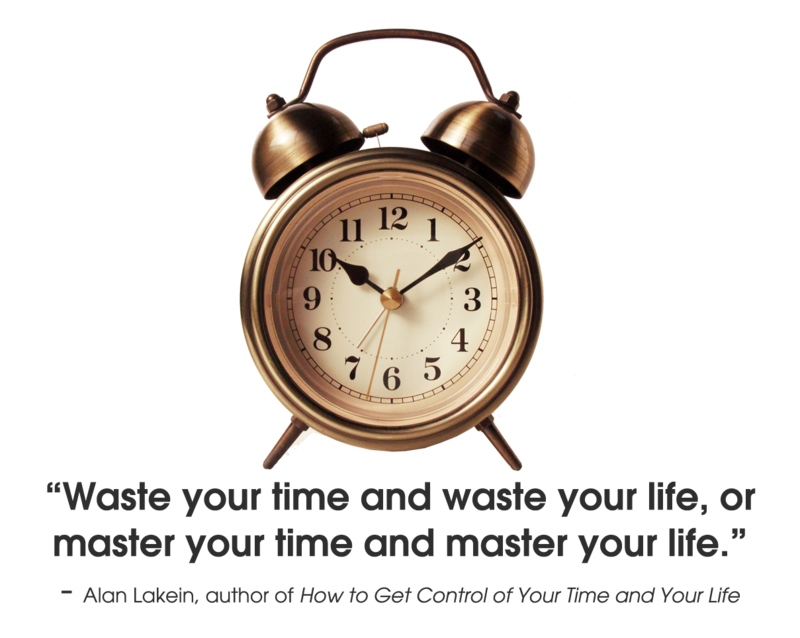 This is because time-management is a skill that you will benefit from for the rest of your life.